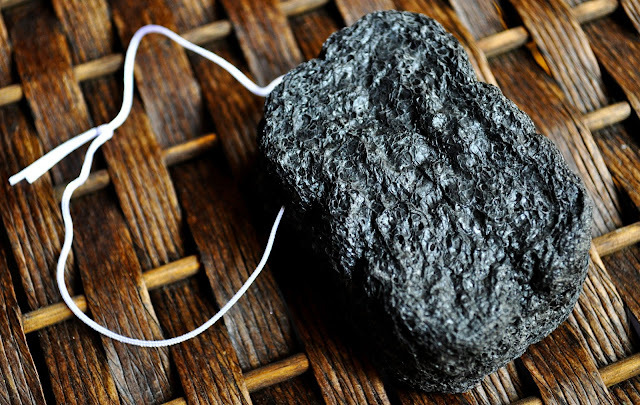 I was first introduced to the wonders of Charcoal skincare products, over a decade ago (13 years to be exact), with the purchase of a Japanese charcoal facial scrub. I was contacted by PEACH and LILY, and given the opportunity to chose an item from their extensive skincare, nail and body, and cosmetic selection to review; and, my eyes instantly locked in on Morihata's Binchotan Facial Puff. 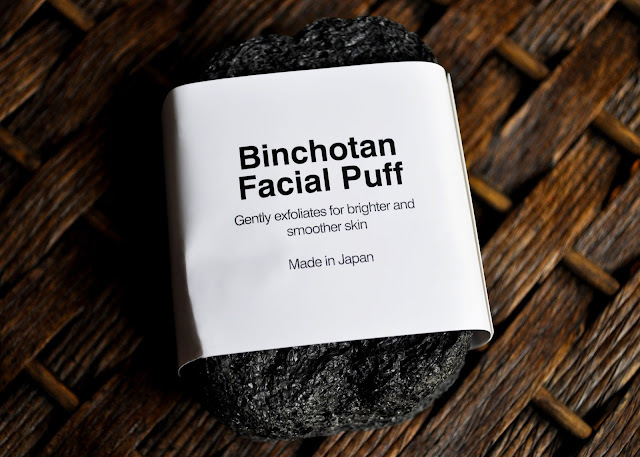 Morihata's Binchotan Facial Puff is an all-natural, anti-bacterial sponge made from the Konjac vegetable root and micro-fine Binchotan charcoal powder. As per the instructions: soak under warm running water, and message gently onto wet skin in circular motions. The sponge can be used with or without cleansers; I've tired both and, although I prefer using the puff after cleansing, the results are great either way. After each use, rinse the facial puff, squeeze out the excess water, and either store in the refrigerator or hang to dry in an airy location. I place mine in a zip-lock baggy and keep it in my fridge. This Summer (just like all the Summers before it) has been unmercifully hot and humid. And, with all the sweating-like-a-man, and the blanket of wool-like moisture in the air, it's not the kind of weather you would expect to cause dryness; however, I had developed a dry patch on my left check. 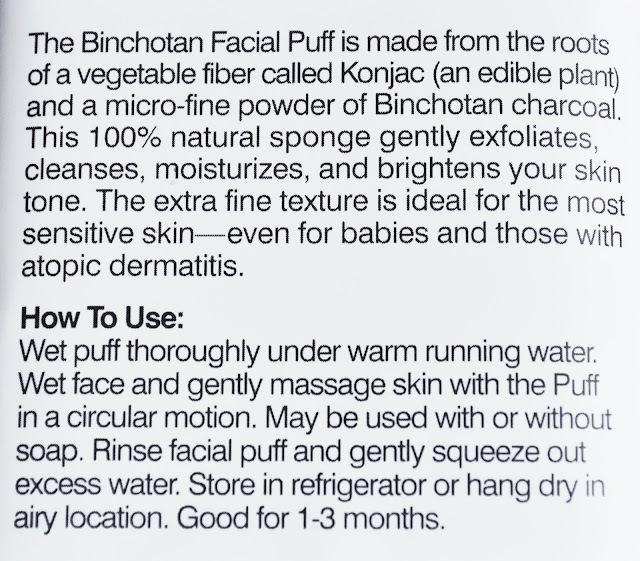 After the first use of the Binchotan Facial Puff, I could see, and feel, a difference in my skin; it felt softer, firmer, and appeared more polished. And, after the third day, the dry patch was no more. I've incorporated the facial puff into my morning and evening skincare routine and, I must say, there's no turning back! The sponge works magic at deep cleaning, exfoliate, detoxifying and absorbing impurities. Also, since I started using the Binchotan facial puff, I've noticed that my toners, serums, and creams absorb into my skin more effectively. After one month of use, and I can see a positive improvement in the texture, appearance and overall condition of my skin; my skin is softer, smoother, more radiant, and any occasional dry patches are gone; thus, looking and feeling better than ever! I highly recommend the Morihata Binchotan Facial Puff for all types of skin, even extremely sensitive and acne-prone skin. The Morihata Binchotan Facial Puff retails for $15.50 on peachandlily.com; they also offer shift international shipping (I received my puff in 8 days). Disclaimer: I received the Morihata Binchotan Facial Puff featured in this post complimentary for consideration for editorial purpose from PEACH and LILY. And, just as if the mentioned item was purchased with my own hard earned cash, my opinion is 1000% honest, my own, and unbiased. This is so neat, thanks for sharing! Happy to enjoyed the review. A great product to add to your skincare routine. Hey Cecilia, hope your goodies arrived safely. 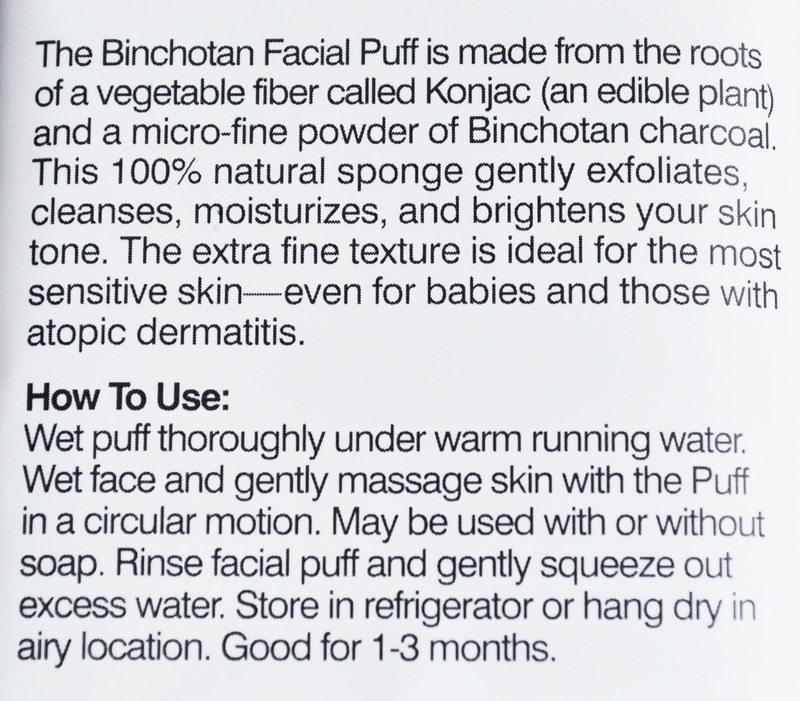 I highly recommend trying Binchotan Facial Puff, will do wonders for your skincare regime. You need to try this facial Puff Anna! Seriously, you must. The texture and overall appearance of your skin will improve, and it makes your skincare perform better. So I shall then! :P I've been saving up for quite a few beauty purchases...Just let the capital controls lift already!!!! Awesome! Let me know your thoughts after you've tried it for a while. Do you have a certain limited of funds you can withdraw or spend? Oh, you've already seen my reply on the other post so lets skip this pleasantness, shall we? If you have one accessible to you, then go for it. You can get a feel for the product and order the real deal later. Nice blog. Do you like to follow each other!